Dr Sir Prince Ramsey, will be conferred with an honorary degree as Doctor of Science (DSc) at the next Graduation ceremony of the Open Campus of The University of the West Indies (UWI), which is scheduled to be held on October 8, 2016 at the St. Kitts Marriott Resort at Frigate Bay in the country of St. Kitts & Nevis. As a highly-respected family physician in private practice in Antigua & Barbuda, Sir Prince has been described as having the zeal of a missionary, who has taken his personal and professional messages on HIV/AIDS to over 20 Caribbean countries, the United States and Canada, many times free of cost. 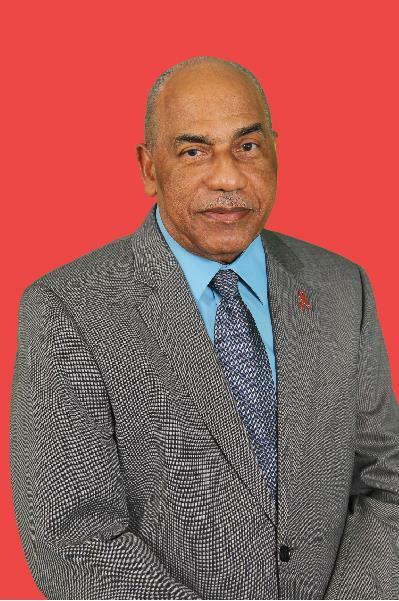 Considered to be one of the regions foremost experts on HIV/AIDS, Sir Prince has lectured for more than 25 years on this critical medical and social issue across schools and churches in Antigua & Barbuda, as well as to student nurses and midwives. In addition, Sir Prince has served as a volunteer medical officer, lecturer and examiner for the Red Cross and St. John’s Ambulance Society. He was appointed the nation’s AIDS Clinical Care Coordinator as well. Sir Prince is a past president of the Antigua and Barbuda Medical Association and former treasurer of the Caribbean College of Family Physicians (Antigua & Barbuda chapter). He was the Vice President of the Antiguan Planned Parenthood Association; a board member of the Caribbean Family Planning Affiliation and the International Planned Parenthood Federation. He was the founder and chairman of the Friends of caFiennes Institute (Home for the Elderly and Destitute), a committee formed to raise funds to improve the quality of life of the residents. One notable highlight of Sir Prince’s work is that he provided all required anti-retroviral medications for the AIDS patients before they were made available by the Government in 2005. He is also listed by the American Biographical Institute in the International Directory of Distinguished Leadership. Sir Prince’s work and unselfish contributions have been recognised by the people of Antigua and Barbuda and the wider Caribbean. He received the Queen’s Commission as Major and Medical Officer of the Antigua & Barbuda Defence Force and is an Honourable member of the Association of Military Surgeons of the USA. He was also appointed “Officer Brother” to the Most Venerable Order of the Hospital of St. John of Jerusalem for his 25 years of Voluntary contribution to the St. John’s Ambulance Society. He has also received many local, regional and international accolades for his contribution to health, especially in the HIV/AIDS field. He received three National awards: The Order of Merit, The Order of Distinction, and The Knight Grand Cross of the Most Distinguished Order of the Nation. His volunteer contributions to Antigua & Barbuda, have made him an honorary member of the Jaycees, Optimist, Rotary and Lion’s Clubs of Antigua & Barbuda. In 2012 Sir Prince was honoured by Pan Caribbean Partnership against HIV/AIDS (PANCAP) with “The Order of Excellence” for his contribution to HIV/AIDS in the Caribbean. As a true Caribbean soul, Sir Prince’s hobbies include playing dominoes and writing calypsos. He has written over 100 calypsos for 50 calypsonians and has produced 45 calypso albums from 1980 to 2009.